Zahawi, R., J. P. Dandois, K. D. Holl, D. Nadwodny, L. J. Reid, and E. C. Ellis. 2015. 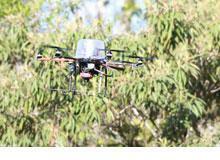 Using lightweight unmanned aerial vehicles to monitor tropical forest recovery. Biological Conservation 186:287–295.